When the clock strikes Five O'Clock and you've got a drink, your next drink will be free. Such is the reason for the moniker of this small tavern off Hastings Way. They're best known for top-shelf karaoke every Wednesday, Friday, Saturday, and Sunday. They have eight taps, darts, touch-screen games, and a big outdoor patio. Come in for their 10am-noon happy hour. They have an ultimate Bloody Mary complete with a skewer on Sundays from 9am-2pm. 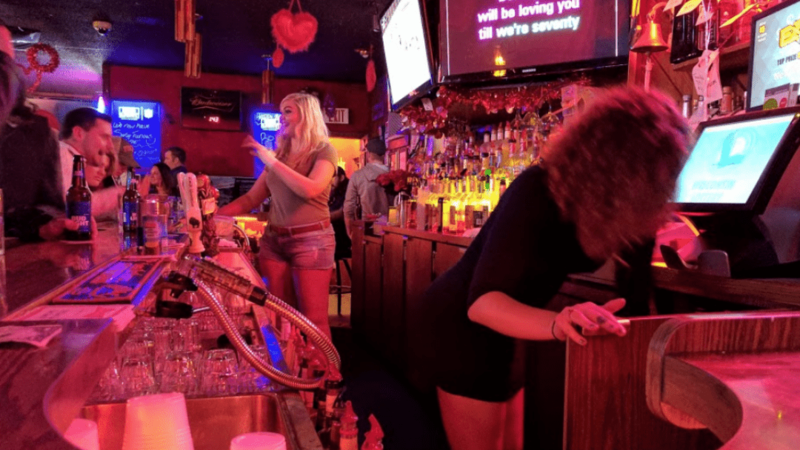 Annually ranked as one of the Valley's best karaoke spots by V1 readers.